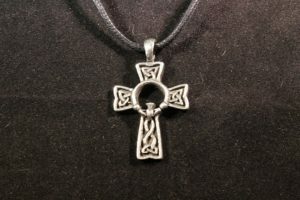 Claddagh Cross - The claddagh is a symbol of Ireland. 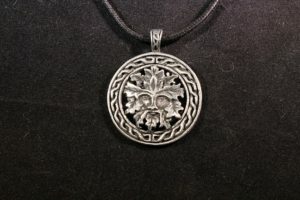 Created in the 1600's in a small fishing village outside Galway, the two hands, heart and crown represent friendship, love and loyalty. Well Cover - The Chalice Well is traveled to for its healing iron rich water. It's water runs constantly, even during drought. 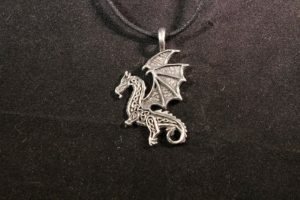 Dragon - Celtic Dragons live at the bottom of the lakes or guard trees, representing elemental power and protection. 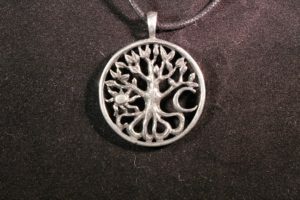 Tree of Life - The tree is the bearer of food, a provider of shelter, and fuel for cooking and warmth. 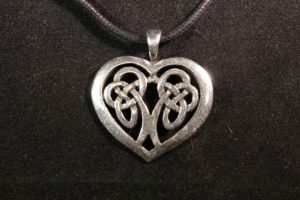 Celtic Heart - The universal sign of love; the most romantic of symbols, representing souls in a visual continuity. 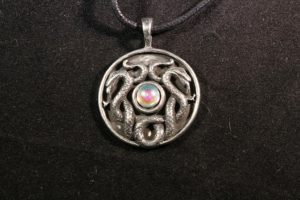 Nathair - Nathair, the snake is associated with wisdom. The Druids were known in Wales and Naddredd; Taliesin says "I am a wiseman, I am a serpent." 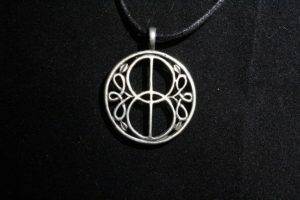 Triskele Shield - The three branches are positioned in such a way as to make the symbol appear it is in constant forward motion. 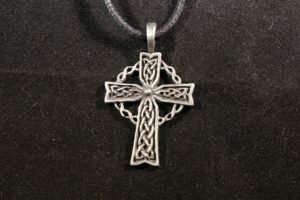 Celtic Cross - The Celtic-cross is used as a symbol of Christianity to show devotion to a higher spiritual power, and also as a tool for spiritual focus. 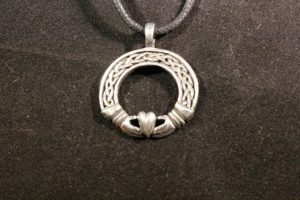 Claddagh - Two people come together in a deep friendship, signified by hands. Crowning this relationship with their loyalty and fidelity. 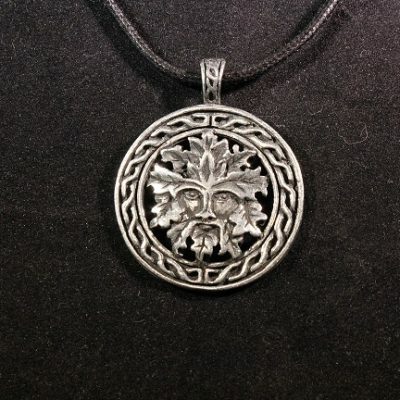 Green Man - The Green man is interpreted as a symbol of rebirth, representing the cycle of growth each spring. Thor's Hammer - Thor, god of thunder and lightning. 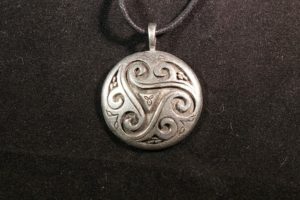 Symbolizes strength and power. 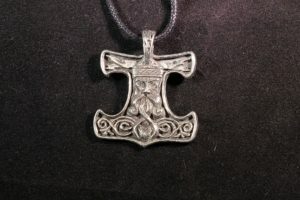 His hammer "Mjölnir" is worn for psychic protection. 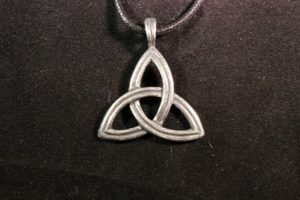 Triskele - The triple goddess symbolizes the trinity in all of its forms, body, mind, and spirit; maiden, mother, and crone; and the Christian trinity, the father, son, and the Holy Spirit.